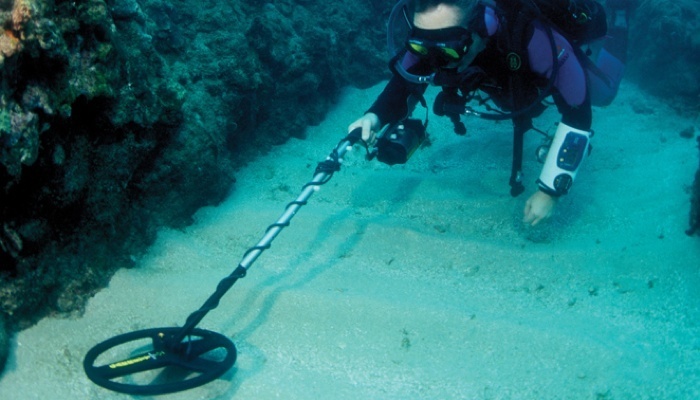 E-Trac Metal Detector is a significant technological advancement when it comes to metal detecting and treasure hunting. Its intuitive menus, innovative control panel, comprehensive targeting options and sturdy design, sets it apart from other metal detectors. It is designed to cater for advanced treasure hunters who can afford detectors above the $1000 mark. Its innovative functionalities and adjustment options allow so many customizations that refines the detection process, and makes metal detecting a lot more enjoyable and convenient. And if you’ve been looking for an advanced treasure hunting detector to help you refine your detecting campaign, then make sure to read this unbiased E-Trac Metal Detector Review. In this review, I would be delving into the core features and functionalities that set the E-Trac apart from the rest of the pack. The E-Trac Metal Detector is manufactured by one of the most popular brand names when it comes to metal detectors; Minelab. Minelab manufactures and sells a wide variety of metal detectors for hunters with different amounts of hunting experience; some of which include Minelab E-Trac, the Minelab GPX, the Minelab Quattro, the Minelab Excalibur and the Minelab Safari. The E-Trac Metal Detector is apparently the “most technologically advanced” among the Minelab series of metal detectors. It is specifically made for experienced treasure hunters (incorporating Minelab’s Full Band Spectrum technology and Smartfind discrimination); with the sole aim of providing them with a detector that can enhance their hunting experience, and make it more comforting and rewarding. Now, let’s delve into the core features that set the E-Trac apart from the rest of the pack. The E-Trac Metal Detector uses Minelab’s proprietary Full Band Spectrum technology that outperforms typical detection technologies, by transmitting broader range of frequencies between 1.5 KHz – 100 KHz simultaneously. The wide range of frequencies transmission allows the operating system of the E-Trac Metal Detector to instantly analyze responses from the signals received from the coil and then interpret them to provide users with enhanced accuracy. This technology results in a greater operational depth range, higher sensitivity over a wide range of targets, less electromagnetic source interference and more accurate target identification. The E-Trac Metal Detector also features Minelab’s proprietary QuickMask and SmartFind technology. The SmartFind technology feature is a two-dimensional graphing display that graphically shows the user the ferrous properties as well as the conductivity of the metal found at the same time. This allows you to easily identify targets before digging. levels, allowing you to accept and reject based on these 2 indicators; thereby making your search much more effective. The E-Trac Metal Detector features a lightweight and waterproof 11” Double D Coil. The lightweight and the waterproof feature of the coil make it possible for you to search a variety of challenging locations, such as the sea, river, beaches, etc; locations other detectors dare not thread. And even in instances where some other detectors have claimed usability at these challenging locations, the result is not at par with the performance of the E-Trac Metal Detector, as hunters rarely find valuable targets at these locations, using other detectors. However, E-TRAC delivers astounding results at these challenging locations. The E-Trac Metal Detector features four preset detecting settings that’s usually the common types of detecting that experienced hunters do namely; Coins, High trash, Beach, and Relics! High trash: For searching in trashy areas. Beach: For searching on beaches. Relics: To search for valuable targets. With these preset settings feature for the most common types of detecting; you can simply turn on the detector, choose a setting, and start hunting without spending any time on adjusting the settings. Amazing time saver! It additionally features a Pin Point Mode that lets you pin point accurately your find and the size of it before you start digging down into the ground. The E-Trac Metal Detector has a “72mm x 48mm” LCD Display Panel that provides clearer on-screen graphics and improved target identification. The display is neat, with buttons nicely placed on the display to make it easier for you to access the menu and make adjustments easily; thereby making detecting with E-Trac much easier. The display is backlit; meaning you can use the E-Trac Metal Detector late in the evenings and even at night. One prominent feature of the E-Trac Metal Detector is the USB functionality that allows you connect the detector to the computer for you to better manage settings, modes, as well as discrimination patterns and build a resource you can continually refer to. The detector comes with a cable with which you can easily connect it to a PC or laptop. This advanced feature is also designed to allow for quick configuration of the E-TRAC at the touch of a button to specific detecting areas and preferred targets; thereby allowing you spend little time, adjusting settings, but instead more time out in the field , detecting. You may want to know that the E-Trac Metal Detector is much better at finding silver than it is at finding gold. A number of users have reported that low quality gold has been mistaken for trash by the detector. Also, the programming is a little different from what some more experienced users are familiar with. So, you may want to bear in mind that the learning curve can take some time, before getting used to. But once you get a hang of it. The money spent is well worth it. Irrespective of the above however, the Minelab metal detector still comes highly recommended to those that want to explore further and increase their treasure finding capabilities. 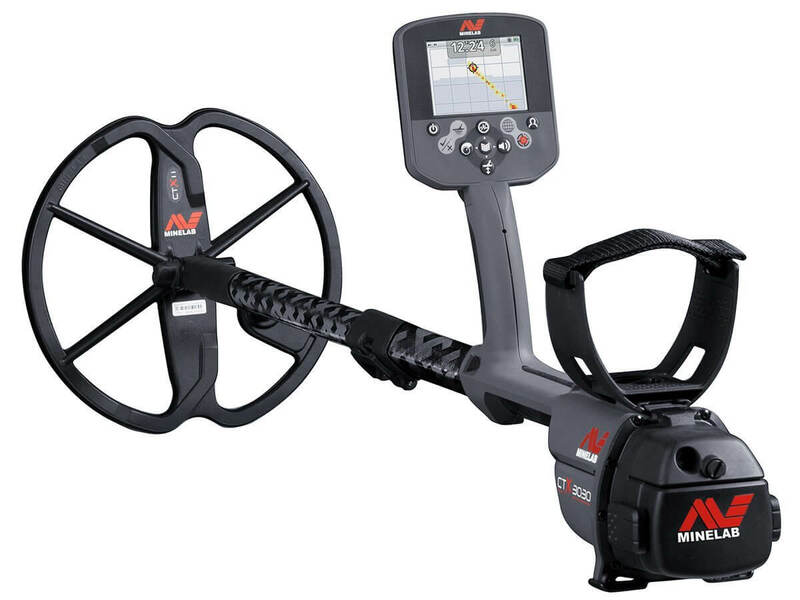 The Minelab E-Trac Metal Detector is without a doubt, one of the best deals you can find in the market. It has set a significant technological advancement with all its features highlighted above and its quality performance. I highly recommend it for the experienced hunters who want to substantially improve their metal hunting experience.